Bats are essential to healthy ecosystems as they eat huge amounts of insects, including those that can destroy crops on farms and many of the annoying, and even harmful bugs that hinder outdoor gatherings. Despite the many important benefits of this mysterious and often mis-understood creature, bat populations are declining worldwide, often due to disappearing habitats. Supplying homes for bats supports promotes healthy, well balanced ecosystems while providing areas for them to live other than attics, barns and other unfavorable areas. You'll also enjoy learning more about them as you observe your bats coming and going from the home you provided. Get involved-get your very own backyard bat home today! 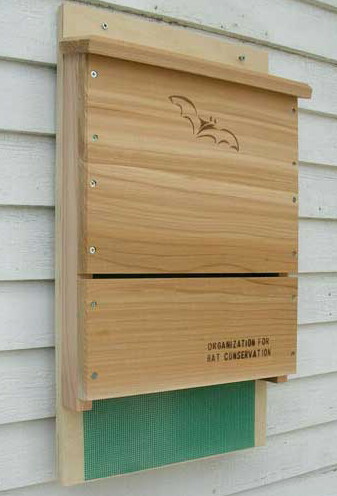 Designed by the Organization for Bat Conservation, this bat house can accomodate up to 100 bats and is perfect for beginning your bat housing project! Designed by the Organization for Bat Conservation . Made of weather-resistant cedar and 3/4 inch exterior plywood back. Interior nylon mesh for maneuverability. 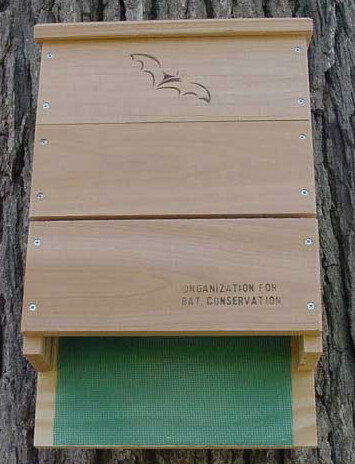 Designed by the Organization for Bat Conservation this bat house can accomodate up to 300 bats! Made of weather-resistant cedar and 3/4 inch exterior plywood back. 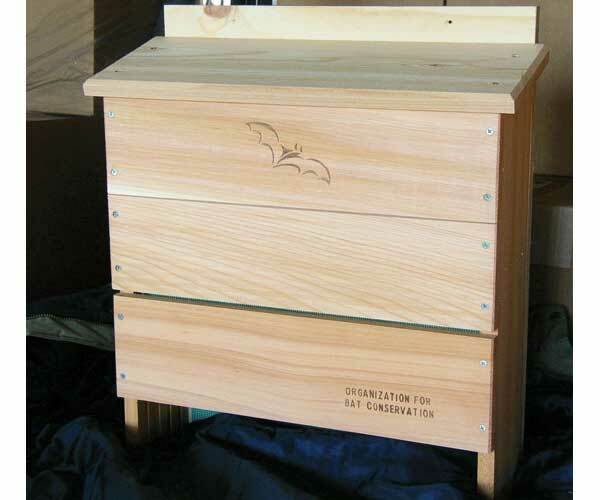 Designed by the Organization for Bat Conservation this bat house can accomodate up to 600 bats! Dimensions: 21" x 7" x 24"